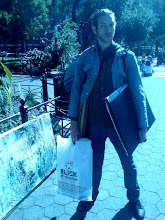 Timpas NYC painting blog: And my first pleine air (under open sky!) oil done last week in Union square! And my first pleine air (under open sky!) 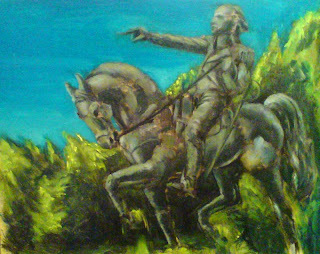 oil done last week in Union square! This was so much fun to do. first a rock band set up 20 feet from me, then there was the free Tibetan monks demonstration after that for 2 hours. Also 20 feet from my setup. And never trust a sunny day in NYC in October. It may start out nice and warm, but after a few hours I was shaking like a madman from the feezing cold, for I had only brought a shirt... 7 hours in the same spot will break you down quickly! I have a little half box easel (Bambi) filled to the brim with various art supplies, and I bring some artwork just in case someone is curious. I enjoy talking to people so don't be shy if you see me! I may look concentrated but a friendly smile will soon change that!